Get Linkerd up and running in just a few minutes. This section addresses running Linkerd in common environments. This section describes some of the major features included in Linkerd’s admin interface. For a complete list of available endpoints, refer to the config documentation. Dashboard: Admin UI showing graphs of requests, success rate, latency and more. Telemetry: Describes how to handle metrics exported by Linkerd. Dtab playground: A web UI that you can use to help debug Dtab rules. Shutdown: Gracefully shut down Linkerd. Beyond adding reliability through circuit breaking and latency-aware load balancing, Linkerd automatically instruments top-line service metrics such as request volume, success rates, and latency distributions. Linkerd also provides request-level routing and multi-service discovery integration with a powerful language called dtabs.In this section you’ll find a rundown of Linkerd’s major features. 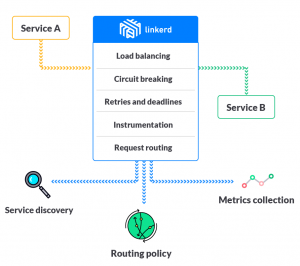 Load balancing: Linkerd provides multiple load-balancing algorithms that use real-time performance metrics to distribute load and reduce tail latencies across your application. 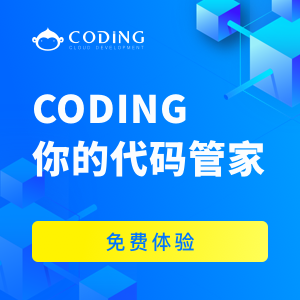 Circuit breaking: Linkerd includes automatic circuit breaking that will stop sending traffic to instances that are deemed to be unhealthy, giving them a chance to recover and avoiding cascading failures. Service discovery: Linkerd integrates with various service discovery backends, helping you to reduce the complexity of your code by removing ad-hoc service discovery implementations. Dynamic request routing: Linkerd enables dynamic request routing and rerouting, allowing you to set up staging services, canaries, blue-green deploys, cross-DC failover, and dark traffic with a minimal amount of configuration. Retries and deadlines: Linkerd can automatically retry requests on certain failures and can timeout requests after a specified period. TLS: Linkerd can be configured to send and receive requests with TLS, which you can use to encrypt communication across host boundaries without modification to your existing application code. HTTP proxy integration: Linkerd can act as an HTTP proxy, which is widely supported by almost all modern HTTP clients, making it easy to integrate into existing applications. gRPC: Linkerd supports both HTTP/2 and TLS, allowing it to route gRPC requests, enabling advanced RPC mechanisms such as bidirectional streaming, flow control, and structured data payloads. Distributed tracing: Linkerd supports both distributed tracing and metrics instrumentation, providing uniform observability across all services. Instrumentation: Linkerd supports both distributed tracing and metrics instrumentation, providing uniform observability across all services. Routing: Provides a comprehensive look at how Linkerd routes requests that it receives. namerd: Introduces namerd as a service that helps route Linkerd requests and centralizes routing decisions to provide global Linkerd control. Dtabs: Explains delegation tables and delegation rules, the primary mechanism by which Linkerd dynamically routes requests. Deployment: Addresses typical deployment models for running Linkerd in your architecture. Plugins: Sheds light on Linkerd’s modular plugin system, and provides a detailed walkthrough for writing your own plugins. Network Performance: Common approaches to diagnosing network performance issues that can negatively impact Linkerd. Debugging a Linkerd setup: Common approaches to finding and fixing Linkerd configuration issues that may prevent it from working properly in your setup.